As you begin working on your memoir, no doubt, you’ll start wondering why things unfolded in your life exactly as they did. Can what happens to us be controlled and planned, or is much of it mere accident, fate, destiny–or is there perhaps another greater force at work as well? 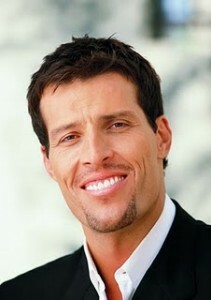 The peak performance coach and bestselling author Tony Robbins, who has worked with three million people in 80 countries (including heads of state, professional athletes, and corporate executives)–has much to say on our collective Date With Destiny, the title of one of his most captivating seminars, offered a few times each year in exotic locales such as Bali. Tony believes that our peer group–who we choose to associate with and come into contact with on a daily basis–very much determines the course of our lives. I can tell you that in my work with ghostwriting clients, we spend considerable time talking about the sequence of life events and why they seemed to happen exactly as they did. I sometimes ask: “Do you ever play this game: ‘If I hadn’t just accidentally found myself in that elevator (or in that classroom, gym class, subway car, or party) at that exact moment in time, how would my entire life have been different? Maybe I never would have met my mate, or a key business connection, or a lifelong friend.’ Right?! Sometimes sheer accidents leads to great things. Here’s a small example: Last week, I was dripping wet in our building’s elevator, having just finished swimming laps, when I “accidentally” ran into one of my neighbors, Russ, a movie producer. Earlier that morning, in the New York Times, I had read an article about Wendy Diamond, the editor of Animal Fair magazine, hoping to meet with her to discuss the possibility of her covering my last book, KATIE UP AND DOWN THE HALL, a memoir about my dog. Just at that serendipitous moment, as I was standing in the elevator, I happened to mention my new “dog” book to Russ, who then told me: “There’s somebody you really have to meet–one of my best friends!” And it turned out to be magazine editor Diamond, who generously ran a 4-page story about my book. “You’ve got to be kidding,” I told him. I just couldn’t believe the coincidence. Sure this seemed accidental–but as I’ve learned from Tony Robbins, what happens to us is greatly a product of what he has insightfully described as THE POWER OF PROXIMITY. Simply put, it’s so often the people in our physical orbits–those in closest proximity–who will become the people most important to us. When you’re around someone in your environment, day after day, you notice their insight, humor, and unique talents–and the needs in them that call out to you for fulfillment. When we look to each other for companionship, love, and connection–we often get what we need. In my life this is absolutely true, and every memoir writer recognizes this key principle which harkens to the motivation behind events. Start thinking about this domino effect, of one thing leading to the next. And you’ll soon notice that maybe thing aren’t so accidental at all. I believe that pondering all this is great exercise in the memoir marathon, making your book as compelling as it can be.